These Toys Cry "Be Mine!" These burp cloths are made of absorbent fabric spun from bamboo fibers. This Flipoutz™ Bracelet features a solid orange color and comes with a random Flipoutz™ coin. Flipoutz™ are bracelets you can wear and personalize with Flipoutz™ coins. Trade your coins with friends and other Flipouterz. Set up your profile online and tell everyone about yourself and your coins while also tracking traded coins as they are traded from one person to the next. Nativity Set by HABA USA/HABERMAASS CORP. Yes, come and play with our Nativity Scene. Please Touch this 18 piece wooden set made in Germany by HABA. Includes a building with the golden star, sheep, donkey, cow, three kings, shepherd, angel and Joseph, Mary and the baby in a manger. This set is a perfect gift for grandparents to have out for the visits from the grandchildren. Pogo Stick Counter by AMERICAN POGO STICK CO.
Other products from AMERICAN POGO STICK CO.
Now kids can dream up the next great YouTube video, review their homework in their head, or just space out while hopping up a storm. The Pogo Stick Counter keeps track of their jumps for them. Settings include number of jumps, time jumped or calories burned. The redesigned Twilight Ladybug features a vibrantly colored shell and soft, matching fur on its body. The constellations are on a 45 minute timer. Each Twilight Turtle and Friends character from the collection projects constellation nightlights that create a magical sleep-time environment. Each “shell” illuminates the night with three soothing color options to help ease fear of the dark. The Twilight Collection includes Twilight Turtle and Twilight Ladybug, each available in three colors and a Twilight Sea Turtle that also has five illuminated windows projecting images of sea life. ―As of 1.06.2011 this product had 4 out of 5 stars from 833 reviews on Amazon.com and was No. 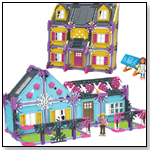 25 on the top 100 bestselling toys and games. Pros: Soft plush; shuts of automatically to reserve battery power. Cons: Light burnt out and was not replaceable. 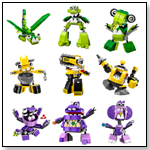 ― In a June 2010 survey, nine of 40 retailers told TDmonthly that Cloud B Twilight critters are top-selling baby toys, with five citing Twilight Ladybug and six citing Twilight Turtle. Twilight Ladybug is the “go-to (product) for infant gifts” at School Crossing Inc. in Williamsburg, Va., according to Owner Sherry Phipps. 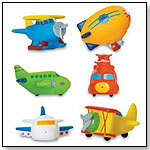 Bathtime In Flight Squirties are a whimsical addition to bathtime and will stimulate imaginary play. 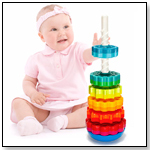 Each individual toy measures around 2"x 2"x 3". Rody Wooden Rocking Horse by TMI TOYMARKETING INTERNATIONAL INC.
Now Rody fans can rock as well as bounce. This sturdy wooden rocker can hold a child of up to 55 pounds. It's made in Italy of Scandinavian birchwood, by Lucio Londero. It measures 28" x 22". Some assembly is required. Launch date: 2010. Lamb Puppet by FOLKMANIS INC. This fuzzy lamb has a movable mouth. It measures 17" x 7" x 13" and weights 8.4 oz. Launch date: January 2010. Two hands or three can animate this beaked birdy. It sports five-fingered wings and the softest feathers that never flew. It measures 12" x 9" x 22" and weighs 13.0 oz. Launch date: January 2010. — As of 05/13/2011 this product had 5 out of 5 stars from 2 reviews on Amazon.com. These animal-shaped rubber bands come in 12 piece blister packs. Themes include sea animals, farm animals, dinosaurs, zoo animals, cars, and shapes. These rubber bands can be used for many different functions including a bracelet around the wrist. 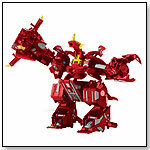 More than just a card or just a toy, the Maxus Dragonoid is a monstrous combination of six Bakugan Traps and a Dragonoid Bakugan. The package also includes a Gate Card and an Ability Card. The year 2009 saw growth in the line with new mechanics and game play modules, as well as a second season of the cartoon show. Launch date: October 2009. Whenever there is an awkward pause, individuals can push the button on the key chain-sized theCRICKETtoy™ to hear "Chirp. Chirp." (crickets chirping). "There really is no other item out there like this designed for those awkward moments. It's a great conversation piece and it gets people asking, "Hey, where did you get that?" That's GREAT marketing and branding with multiple impressions throughout the week!" Jeff Anderson, owner of Kardandak Enterprises LLC, told TDmonthly. Launch date: November 5, 2008. This cuddly, jointed Koala bear may look like he's from Australia but, like other Vermont Teddy Bear toys, he was "born" in Vermont: just look in his eyes for the signature imprint. The eco-friendly, Green Feel Paper Pencil prevents environmental degradation by relying on recycled paper rather than wood for production. They are softer than wood and sharpen much more easily. Slippage caused by hand perspiration is much less than with wood pencils due to the absorption properties of the paper pencil body. The 2.4mm lead used is longer lasting and provides an excellent image. Paper pencils do not contain chemical agents harmful to the body. The attractive design comes in several pastel covers. Pencil bodies can be custom-embossed with your logo or message. Attractive bulk packaging is ideal for corporate gifts and giveaways. Simply spray and smooth with your hands and the wrinkles are gone. Grandma's Secret Wrinkle Remover™ also has a clean Springtime scent to help freshen up any stale and stuffy odors on your clothes, towels, sheets and linens. It comes in a handy 8 oz bottle for easy take-along when traveling. It's available in 4-packs- of 8-oz. bottles for just $19.95. This cheerful table and chair set has a hidden bonus: lots of extra storage space. The cute, animal-bedecked chair features a shelf underneath the seat. The table also has cubbies to store arts supplies, blocks, and other toys. Editors' note: This set is both visually pleasing and very functional. Not only does it feature sturdy wooden components and attractive, hand-painted detail; it would also nicely support a coordinated theme for a child's room or play space. 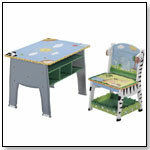 The only drawback, based on review by a young toddler, is that since the underneath storage compartments on the desk are set so far forward, children cannot sit very close or with their legs under the table because their knees will hit the cubbies. Handmade using the same soft fur that's used to make the company's world-famous bears, the Pajama Pillow is designed to be soft, cute and cuddly. The Pajama Pillow is a great place for kids to tuck their PJs so they always know where to find them at bedtime, and makes a great bed decoration by day. 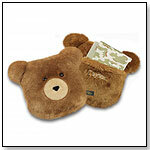 "Vermont Teddy Bear Pajama Pillow is handcrafted in Vermont and Guaranteed for Life. It can be personalized up to 12 characters," Storm Tussey, Retail Marketing Coordinator, Vermont Teddy Bear Company, told TDmonthly. Launch date: 2010. Videography and editing by Carlos Velasco.